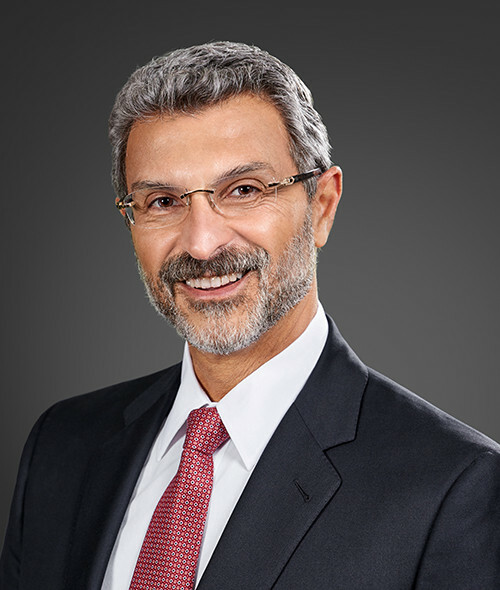 Emile Haddad is Chairman and Chief Executive Officer of FivePoint Holdings, the largest developer of mixed-use communities in coastal California. It owns and manages Great Park Neighborhoods in Irvine, Newhall Ranch in Los Angeles County and The San Francisco Shipyard and Candlestick Point in San Francisco. Combined, these four mixed-used communities include approximately 40,000 residential homes and 20 million square feet of commercial space. All in total, these developments generate approximately 288,000 jobs during construction and $54 billion in activity for the Californian economy. Prior to founding FivePoint, Emile was the Chief Investment Officer of Lennar Corporation, one of the nation’s leading homebuilders. There, he was in charge of the company’s real estate investments and asset management. Emile was a founding member of Lennar in California and was instrumental in its growth. Emile has over 30 years of development experience. Before Lennar, Emile was a senior executive at Bramalea, which was part of the Canadian real estate conglomerate in the 80’s and early 90’s. Active in the community, Emile serves as Chairman of USC’s Lusk Center for Real Estate and as a member of the USC Price Planning Program Advisory Board. He is the Immediate Past Chair of the Board of Trustees at the University of California, Irvine and serves on the Real Estate Advisory Boards of the University of California, Berkeley. He also serves on the boards of Chapman University and PBS SoCal, as well as Spain-based AEDAS Homes. Haddad is the recipient of the Boy Scouts of America Construction Industry Good Scout Award, the UCI Center for Real Estate Lifetime Achievement Award, and the American Diabetes Association Father of the Year Award. In May 2017, he received the Ellis Island Medal of Honor. He has been named among the most influential personalities by several media outlets. Emile holds a civil engineering degree from the American University of Beirut.